Last year I was on my way to catch a Baby Byrd gig in London. I’m there on the Metropolitan line, squinting at the tube stops as I trundle along with my fellow passengers, all challenging for the ‘cool and aloof’ award – but being from the North I’m clearly behind. I’ve just about worked out how many stops are left before I have to lurch into ‘mind the gap’ position when a familiar figure gets on and I’m suddenly ahead in the cool stakes, despite the fact that he’s also from ‘the North’. It’s Jarvis Cocker and although we’ve never met, we shared a friend in guitarist Tim McCall who died, sadly and unexpectedly in February 2010. I break the underground code of silence and we strike up a conversation, sharing stories of Tim. Before I know it we’re almost at my stop. “Where are you off to?” says Jarvis, and sensing that I’m not entirely sure he offers some useful directions which do actually work – so I’m doubly grateful he got on the train. This year I’ve had two opportunities to photograph Jarvis – at T in the Park and at Leeds. 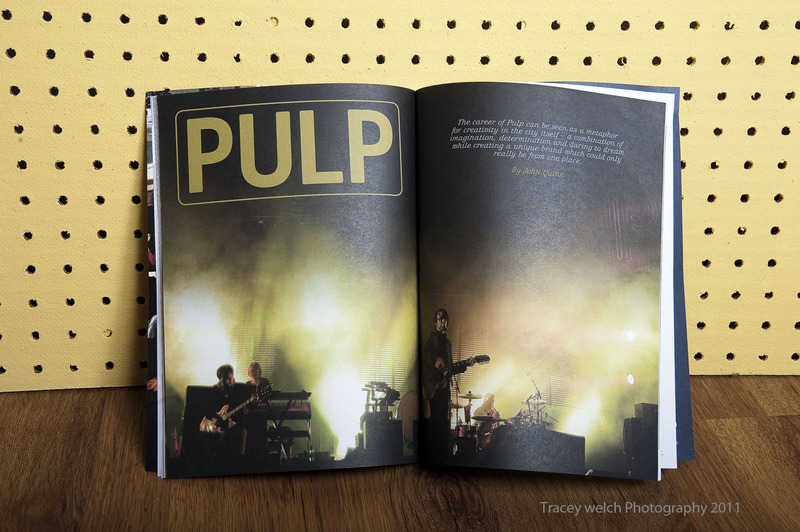 And last week, together, we made the front cover of the ‘Made’ publication which was really satisfying. 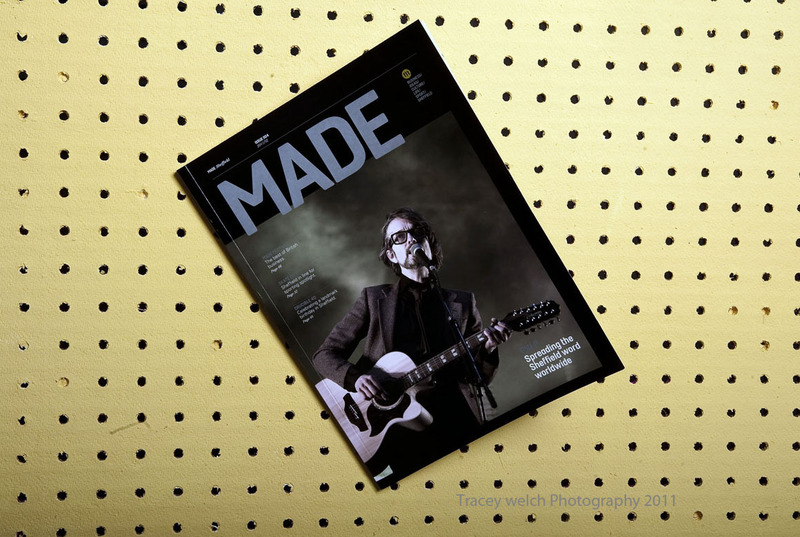 ‘Made’ is designed to celebrate and promote all things great that are ‘Made in Sheffield’ so Jarvis makes for an obvious cover candidate and I’m really pleased they approached me for a picture. Underground or on stage, he’s got a real presence and I hope that comes across. As always though, judge for yourself! And one final word. Tim – you are still very much missed.